This program focuses on deal making. 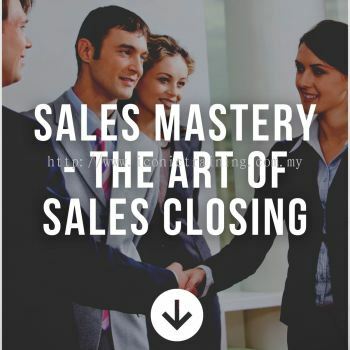 Either you are a seasoned professional in sales or a junior sales person learning the process of deal making, there are key learning methodologies and fundamentals which are important in every sales cycle and/or negotiations. The program focuses on the psychology of sales, engaging people and what are the success barriers of closing. Methods used in these programs are from Psychological artistry and Neuroscience of sales. "Whatever you are doing, no matter how well you are doing it, can always be done better." ~ IrwinG. Participants gets to understand & explore their barriers of sales closing.